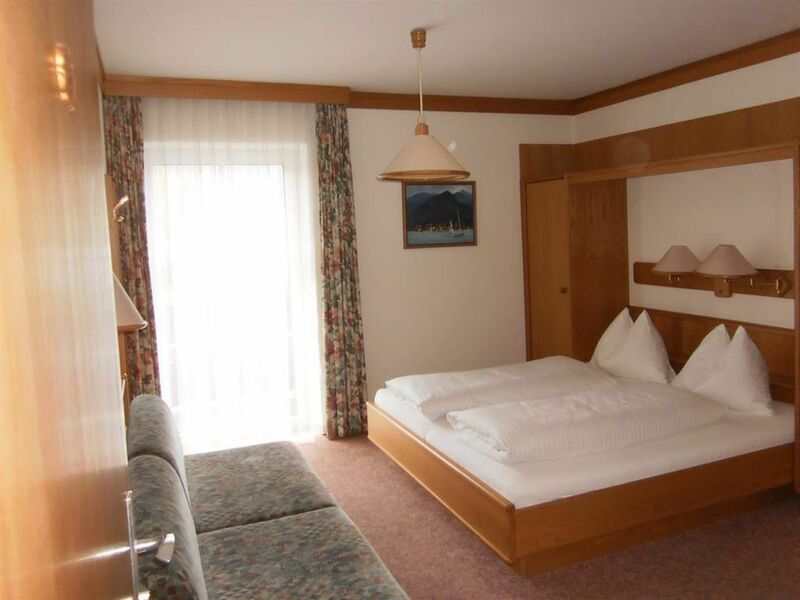 Comfortable double room with balcony and wonderful panoramic view over the lake and the Fuschler Hausberg Filbling. Welcome to the Salzburger Hof! Be enchanted by winter. Enjoy the beautiful landscape during romantic winter hikes or on a wonderful sleigh ride. Cross-country skiing fans can enter the 18 km long trail directly behind the house. Ice skaters, curlers and ice sailors get their money's worth at the frozen Lake Fuschl. For our youngest and young at heart there is a prepared toboggan run available. In the nearby ski areas Faistenau, the Schischaukel Hintersee-Gaissau or the Postalmgebiet you can wave down the slopes. In the neighboring town of Faistenau, snowtubing is at a rapid pace through the snow channel. In the late afternoon, the forester from Hintersee accompanies you to the deer feeding; a unique experience! Let our house be the center of the world for a relaxing and eventful holiday. Our rooms are all equipped with shower / WC or bath / WC, radio, telephone, cable TV and balcony. Children are welcome with us; Unfortunately, we can not accommodate pets.